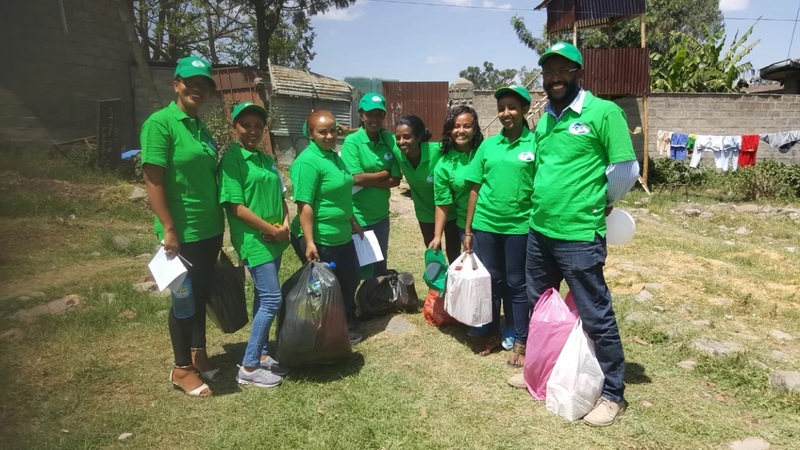 EGST staff, students and alumni through the Community Action Project (CAP) delivered training on personal hygiene and handcraft skills for 78 teenagers under the correctional administration of government in Lideta Sub-City of Addis Ababa City Government. After deliberating with the administration of the center and social workers on March 21, 2019, the team offered training on March 22, 2019. It was also noted that there about 78 teenagers of both genders who are under the custody of the law. EGST Community Action Project (CAP) took different items such as spray, glue /huh, color papers, plasters, balloons, wax (for candles), decor, yarn, accessories, and others items worth 8,000 Birr to be used for the training of handcraft skills. Yenigat Abera and alumni who did her Practicum and Master Thesis on the Juvenile Rehabilitation Center expressed her feelings that in comparison to other days, this visit is so much exciting as they managed to meet the new administration of the institution and the social workers who made their visit and the training successful. It was further discussed that the new administration of the Center shared their needs of computer training for the teens, and the project has accepted their request to prepare a Computer Training Manual. EGST aspires to carry out its corporate social responsibility by organizing and facilitating resources for the development of the Juvenile Rehabilitation Center and for the wellbeing of the youth who are under custody of the law.